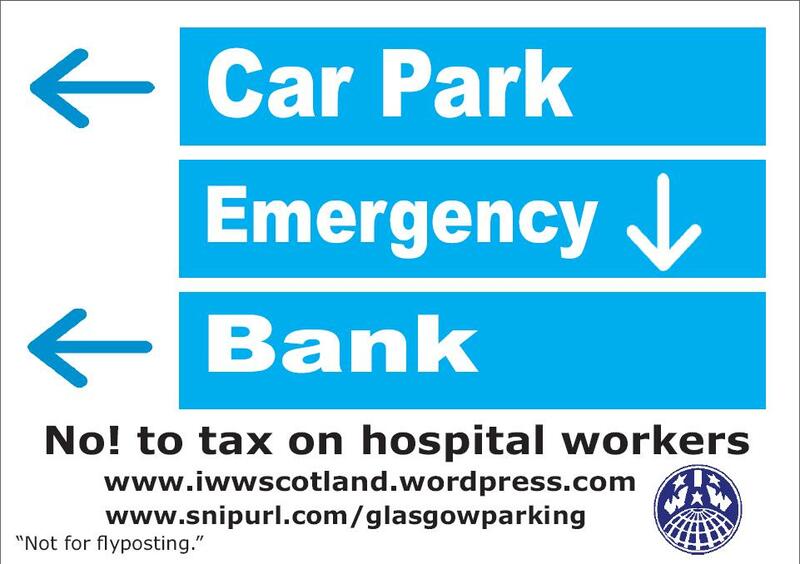 Clydeside GMB has began distributing the following posters to raise attention to the ongoing struggles of hospital staff who are being charged extortionate fees as a result of a swingeing decision by Greater Glasgow Healthboard to charge hospital staff and patients alike for parking at hospitals. The money being earned from the parking charges is not going into funding better public transport to hospitals or supporting staff to get to and from work, and is not specially earmarked for a specific purpose or for investment. The Healthboard has been open about the fact that it sees this as just another source of revenue. Despite a government review being ordered into the decision and a consultative ballot on the issue the Healthboard has stated it has no intention of dropping the charges. 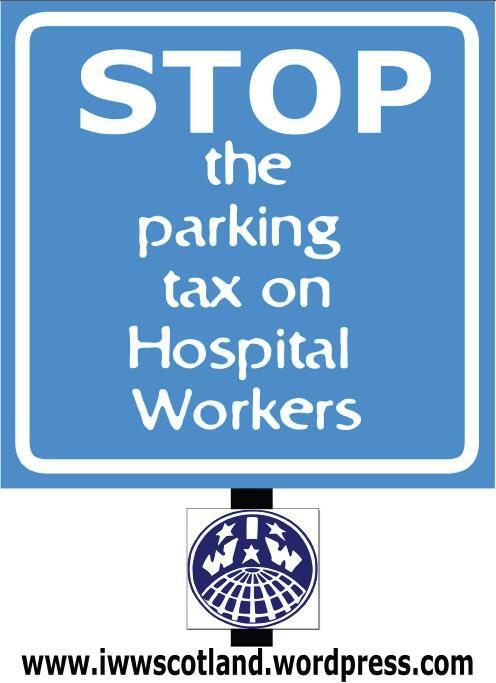 This is a tax on hospital workers, and the IWW aims to support workers fighting the charges by highlighting the issue and trying to bring others to register their support and get involved. We all benefit from the NHS. Attacks on hard working healthcare workers are attacks on the NHS itself. They must be stopped, for all of our benefit. An injury to one is an injury to all. Healthcare Workers (IU 610 workers), Clydeside GMB. This entry was posted in Glasgow, Healthcare, Wider workplace struggles. Bookmark the permalink.